• Current world No. 10 and three-time Newport champion John Isner will be back to defend his 2017 title, along with Newport fan favorites and past champions Ivo Karlovic and Nicolas Mahut. • There’s also several rising stars in the field sure to add some excitement to the action, including Australia’s Alex de Minaur, who is having a tremendous grass court season. 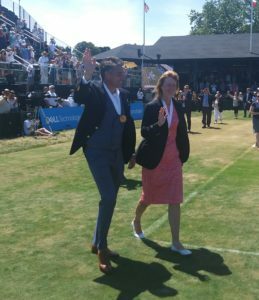 di Minaur was just granted a Wimbledon wild card – deservedly so after two huge weeks on grass where he won a Challenger title last week and was finalist the week prior. NEWPORT, RI – Tennis’ short but sweet grass court season is in full swing, and for some of the ATP World Tour’s most exciting players, they’ll wrap up the season on the historic grass courts of the International Tennis Hall of Fame for the Dell Technologies Hall of Fame Open, July 15 – 22. 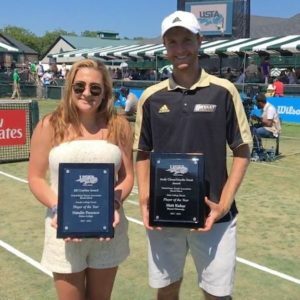 The 28-player draw is now largely set and will bring a dynamic mix of long-time Newport fan favorites, exciting new players, and many competitors with impressive grass court resumes. Tickets for the tournament are on sale now on HallofFameOpen.com. Defending champion John Isner will return to Newport, this time coming to the Hall of Fame grass courts for the first time as a top-10 player. The current world No. 10 and No. 1 American won the Newport title in 2011, 2012, and 2017. Earlier this season, Isner won the singles title at the Miami Open and the doubles title at Indian Wells, partnered with fellow American Jack Sock. He advanced to the Round of 16 at Roland-Garros. The tournament will welcome back past singles and doubles champion Nicolas Mahut, a skilled grass court player who has won all four of his career singles titles on grass, including Newport’s 2013 title. Big serving Ivo Karlovic who stands at 6’11, will also return to Newport, where he was the 2016 Champion. Joining the Newport veterans will be a mix of dynamic rising stars. Australia’s Alex de Minaur will compete in Newport for the first time. The 19-year-old is one of this season’s break out stars, having kicked off 2018 ranked world No. 208 and currently sitting at world No. 78, thanks in part to an already outstanding grass court season. De Minaur won the Challenger title at Nottingham last week, and in the week prior he was runner up at the Surbiton Trophy Challenger event. As a result, de Minaur is the recipient of a Wimbledon main draw wild card. Fellow Australian Thanasi Kokkinakis will also make his Newport debut. Earlier this year, Kokkinakis knocked out world No. 1 Roger Federer at the Miami Open. He’s one of just two players this season to have a win over Federer. Also set to play Newport is 2016 NCAA Champion Mackenzie McDonald, a rising star from California who is currently ranked world No. 101. Mahut comes to Newport after an emotional victory at the Roland-Garros where he and fellow Frenchman Pierre-Hugues Herbert, who is also Newport-bound, won the men’s doubles title. It was the duo’s twelfth title as a team, and third at a Grand Slam event. The pair also won the 2016 Wimbledon doubles title. Mahut and Herbert will both compete in the singles draw at Newport, with the doubles field to be announced later. 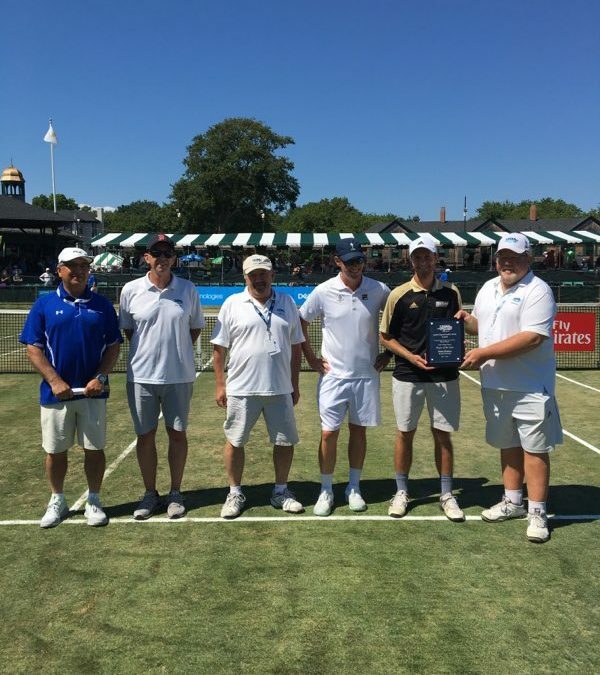 The field will welcome some new competitors to Newport, and will also feature several players who are heading to Newport have found their best success on grass courts. Mischa Zverev will make his Newport main draw debut. The German star stunned then world No. 1 Andy Murray with a sharp defeat at the 2017 Australian Open, going on to the quarterfinals at the Grand Slam event. Zverev, who has been ranked as high as world No. 25, is now heading into grass court season after a solid clay season that saw him in the third round at both Monte-Carlo and the French Open, which he wrapped with a close four-setter against world No. 7 Kevin Anderson. Newport’s 2016 finalist Gilles Muller has put up some of his best results on grass courts. Last season, Muller won the title at s-Hertogenbosch, was a semifinalist at Queen’s, and knocked out Rafael Nadal in the Round of 16 at Wimbledon. World No. 26 Adrian Mannarino returns to Newport for the seventh straight year, where he’s been a quarterfinalist twice. The Frenchman digs deep when competing, and has notched wins over four top-10 players – Marin Čilić, Milos Raonic, Jo-Wilfried Tsonga, and Stan Wawrinka. Australian Matthew Ebden, currently ranked world No. 60, will also return to Newport where he was a finalist last year. Ebden won the Australian Open Mixed Doubles title in 2013. Ryan Harrison, now ranked world No. 56, returns to Newport where he was a quarterfinalist in 2012 and won the doubles title in 2011 with Ebden. Harrison also has a major title to his name, having won the 2017 French Open doubles trophy. Marcos Baghdatis will returns to Newport this year, having been a semifinalist in 2016. Baghdatis has been ranked inside the world top-10. He was a finalist at the 2006 Australian Open and a Wimbledon semifinalist, also in 2006. The 28-draw field is largely set. Four additional players will early spots via the qualifying round. Wild cards have been awarded to Thanassi Kokkinakis and Nicolas Mahut, with one additional still to be given.